1. 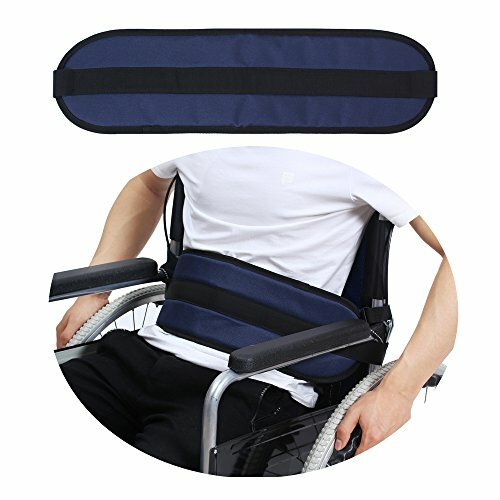 Soft Wheelchair Cushion Belt, Designed for persons who require a safety belt while in a wheelchair. 2. Waist and abdomen protective restraint, prevent the patient fall and anti-slip. 3. Use of the object: Those suffering from spasticity, seizures, or those who are at risk to fall out of their wheelchair. 4. Wheelchair seat belt buckle easily attaches and detaches, locking in securely, and releasing, simply, just like vehicle seat belts. 5. Belts are intended to be used on patients who are able to remove without assistance - Not intended to be used as a restraint!